even running that car probably won't sell or trade on here. no one on this site wants a 420a w/ turbo, at least no one that i can think of. Details: Looking for a complete car running and maybe a few upgrades? Let me know what you have and we will work something out. I have been doing a ton of traveling lately (Air Force) so please have some patience if I don't get right back to you... if you have something in a higher price range I will have a nice chunk of change in the June/July time frame! Want to buy Clean VR4 with mods for a DD to use for work when I'm in Seattle. 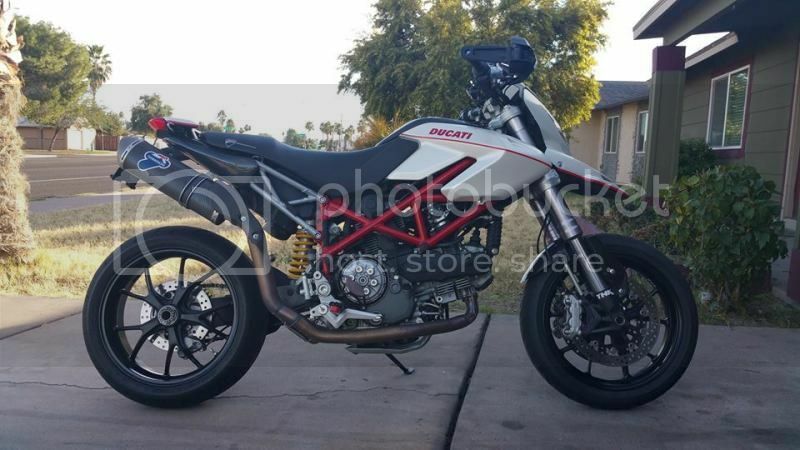 Looking for something with a built trans and engine tuned and ready to drive. AC is must for this car. Willing to travel pretty much anywhere to grab it. Price let me know what you want. I know I'd never sell mine. Details: I have a 2000 Sonoma I would be willing trade, but if not interested we can tall cash. Must have cleaner body. Don't care if it moves, but prefer it. looking for galant vr4 running!!!! Details: Really want a clean well kept vr4 thanks!! WTT. 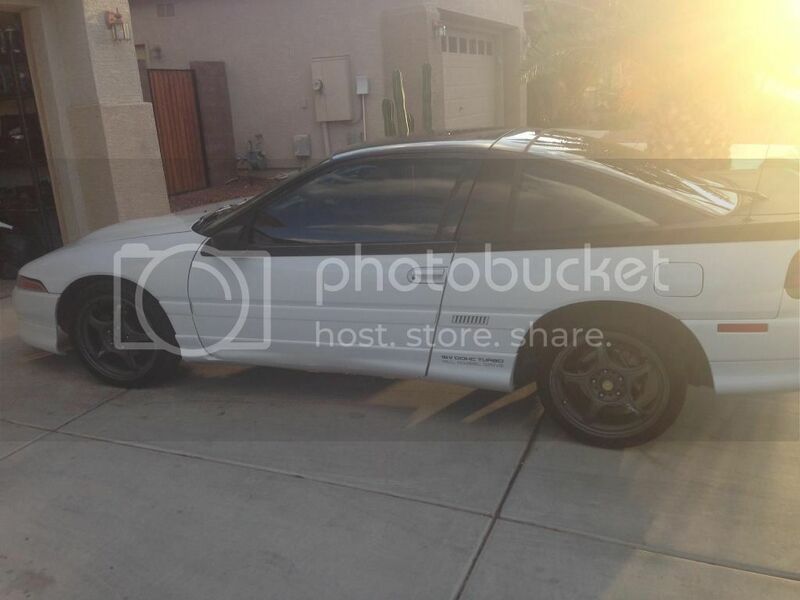 looking for a galant vr4 in the Phoenix area, must have a clean exterior. 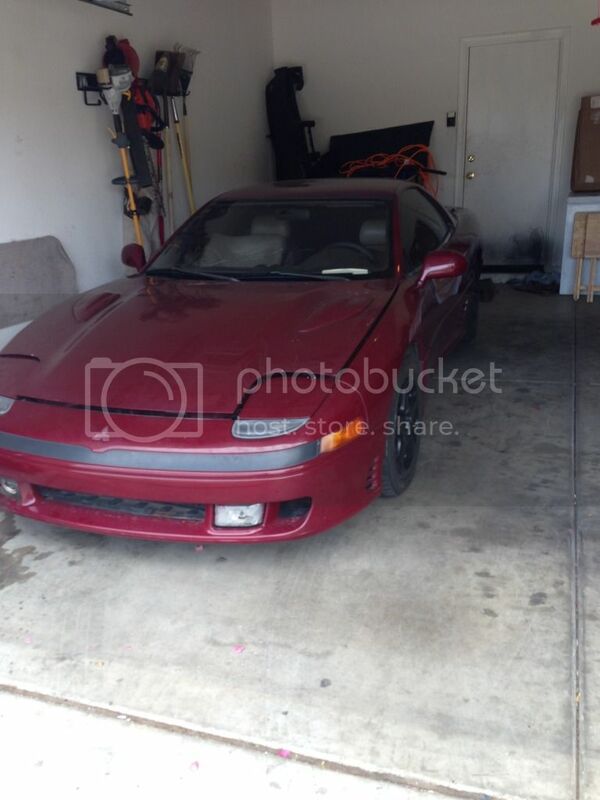 I have either a stockish 1992 3000gt vr4 to trade, or a built 92 talon tsi. The vr4 has 15g turbos, a cat back exhaust, and I can include a carbon fiber hood for the right deal. The interior is rough, but I'm replacing the seats this week. The talon is a 500+ whp fp red e85 setup. Eagle wiseco bottom end, arp studs, cometic hg, brand new oem head this summer, fp2 cams, fic 1100 high z, Walbro 450 e85 pump, aem fuel rail, fuel lab afpr, dsmlink v3, gm maf. Everything works on the talon. Ad blows ice cold, and it doesn't overheat doing 500whp pulls with it on in the 120* summer. Details: i buy mitsubishi galant vr4 89-92 any condition. I have a 1999 forester 5speed I'd like to trade. It is a solid running, good condition daily driver with cold ac and a hot heater. I am sure I am forgetting stuff but if interested text me @ 480 455 266five or pm on here. Details: Looking for galant vr4,eclipse gsx,evo.Not looking for a project,the car needs to be in good running condition,with everything sorted out.I'm looking for either a stock,clean car or a well tuned finished car.Let me know what you got and what you asking.Thanx. Details: Looking for a Galant VR4 in decent condition. Well sorted modifications are perfectly acceptable, exterior and interior condition are irrelevant. This car will be a weekend warrior, not a daily. Primary concern is that mechanicals check out. Details: Looking for a clean running vr4. Less than 150k would be nice. Let me know what you have! Details: No rust please, I'll take dents/fade over rust any day. Car will become a very well cared for daily driver, so prefer nothing with major driveability issues. I can fix anything mechanically within reason, so don't be shy if it has a few bugs to iron out though. I am an enthusiast who has owned and driven many cool cars over the years, but I am itching for something old school/awd/turbo/manual, so I find my self poking around more and more for a GVR4 or and alltrac celica. Looking for a running, driving good shape gvr4 in the $7k price range. I will be willing to trade down a little. Preferably something somewhat close so we dont have to spend a fortune on shipping. Looking to trade my 1976 Toyota pickup for a GVR4. Truck has a W58 5 speed trans from a 1980 Toyota Celica, Rebuilt 20R engine from a 1977 Toyota Celica bored .20 over. maybe have 15k on the rebuild. I converted the Electric fuel pump to a head mounted mechanical fuel pump. Also has Weber 38/38 synchronous carb. Alternator was replaced 3k miles ago. The interior has a new dash cap, Midship wood steering wheel and a Retrosound radio with aux hookup. there are 2 5 1/4" sony speakers mounted in the doors. Has the factory bench seat in great condition with only one rip on the passenger side, also a shift lever from a 1995 Toyota 4wd. The headliner is Dynamat. I Just found a different bed which explains the yellow/brown color. This one is rust free. If there's any interest please PM me and I can send more pics of whatever you want. Truck will come with the BBSs pictured which are off of a infinity they are 15x 6 1/2", also a set of 3 piece BBS RS 15x7. and the factory set of 14" steelies. Truck is lowered 2 3/4" in the front to keep proper control arm geometry and 3" in the back with blocks. Will also come with all the spare parts I have (Switches, Heater, Denso aux a/c, 74' hilux bucket seats, factory headliner,etc) also have a spare 4.10 rear diff, the current diff is a 3.90 from a 2000 4runner. I have all new seals for the steering box that may be put on before a trade. The truck is manual steering and manual brakes so brakes are stiff but not too bad. I have driven this truck back and forth from New Mexico to Georgia 4 times and never had a issue. This is my DD. New coil, voltage regulator and alternator. New Stoptech Para Aramid pads and centric rear shoes with rebuilt calipers. Tie rods and pitman/idler arm replaced 2k miles ago with Kasei 555 inner tie rod ends, adjusting sleeves and MOOG outer tie rod ends, the Ball joints are also relatively new Kasei 555 joints. This truck needs Some rust holes welded on the rocker panels I cut out the rotting to prevent spreading. The Only other rust besides the rocker panels are the cover metal for the body mounts on the inside of the cab. Drive-shaft may need to be balanced, I've been driving it like that since I got it running and it hasn't caused any problems but the small vibration is kind of irritating. Windshield has a chip and wiper marks. Its probably about time for new shocks. The truck has a modified crossmember, so there is no mount for the parking brake. Parking brake inop. Has exhaust leak between manifold and downpipe. Details: Looking for something that runs well for a daily driver, I don't care about cosmetics, minimal rust is ok. Mods are ok just let me know what they are. Generated in 0.108 seconds in which 0.049 seconds were spent on a total of 14 queries. Turbo powered.